The Zoo that never was. Home to the world-famous Zoo Project parties, Benimussa Park is unique on the island. The lifelong memories of many clubbers are made here. Essentially, if al fresco partying, fancy dress and quality electronic music is your bag, you will love this. That'll be all of us, then. A young, British crowd tends to make up the bulk of the Zoo parties, although don't expect the music to play it safe. 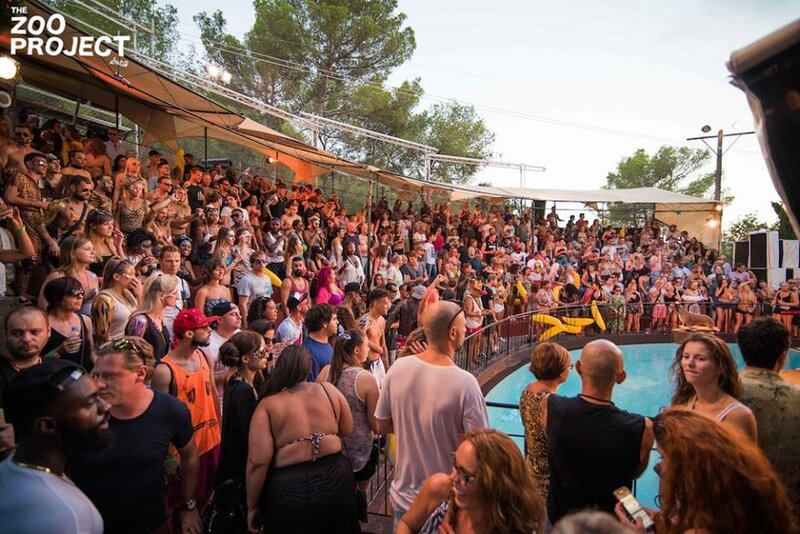 Bookers here are known for providing their audiences with leftfield, quality underground house and techno - in 2016, Ricardo Villalobos and Stacey Pullen both appeared while in 2017 we had tINI and Apollonia. Furthermore, Benimussa Park has diversified in recent seasons, and now offers a brilliant hippie healing pit with meditation circles, massages, capoeira, fire dancers, break dancers and all sorts of energetic cultural endeavours. Trance festival Connect also rolls in twice a year, providing a different sound up in the hills. Plus in peak season Holi Festival rolls into the hills to paint Benimussa with rainbow powder. Starting in 2017, you can get your dose of animal magic twice a week, as Zoo Project took place both Tuesdays and Saturdays throughout the summer months. How to get there: €7 taxi from San Antonio or there is a bus service running until just after the party finishes. Prices: Zoo Project parties cost in the region of €30-40.